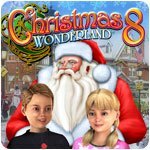 Christmas Wonderland 8 Game - Download and Play Free Version! 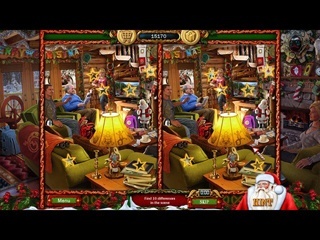 Visit Santa's Grotto, win a trip to Santa's North Pole Wonderland. Ride Santa's Airport Limo and the Santacopter. Visit Santa's Warehouse, Workshops, Sleigh Barn and the Elf Dorm. Put together a Nativity display in the Church and superb Christmas Scenes. Decorate the House, visit Springfield's brand new Theater and Tex Mex Diner. Drive up to see Grandma and Grandpa in their Pinecreek Hills Holiday Log Cabin. Suddenly it's Christmas Eve and Santa's on his way. The Kids are fast asleep, or are they?... and soon it's another fantabulous Christmas Morning.